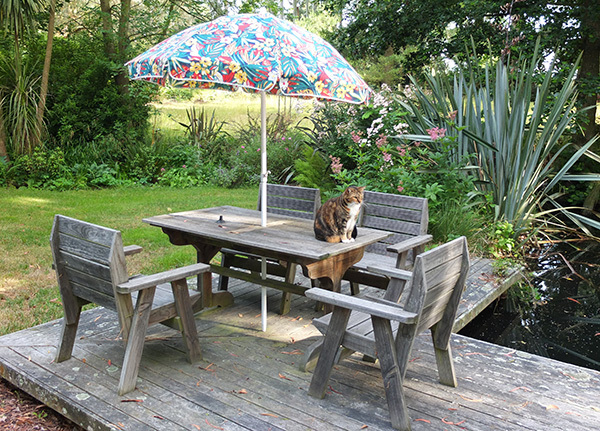 The Pond Decking has always been the perfect place for some garden furniture. In the past I've hauled out plastic seats for friends to enjoy the sparkling summer water. Then the wind would come and blow them into the pond. Oops. 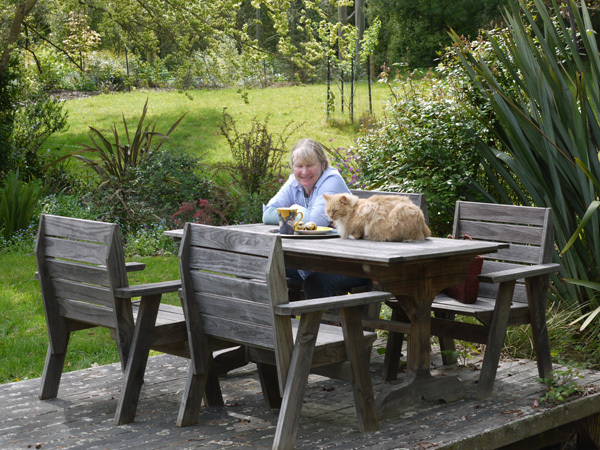 Finding a sturdy, cheap, second hand garden dining suite became one of my major plans. And here it is - a wooden table with four non-blow-away chairs, with a delightfully weathered look and no wobbly bits. 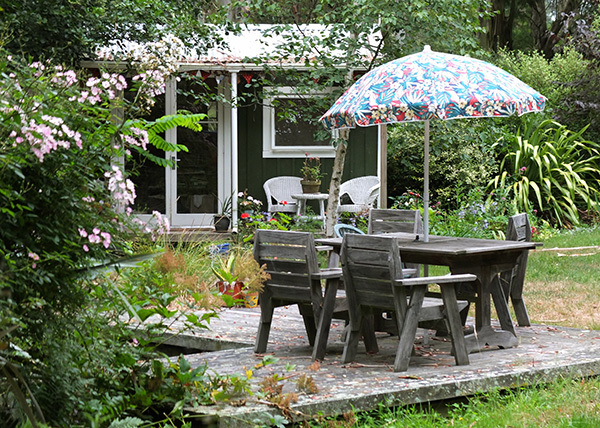 Dining by the pond has become a pleasure, and I often take my morning or afternoon tea there. Hardly a minute goes by before a cat appears, and Rusty the dog will inevitably be sitting on the nearby grass waiting (hopefully) for a dog biscuit. The cat in this spring photograph is faithful cat Fluff-Fluff.